Courtney at an FFA event. 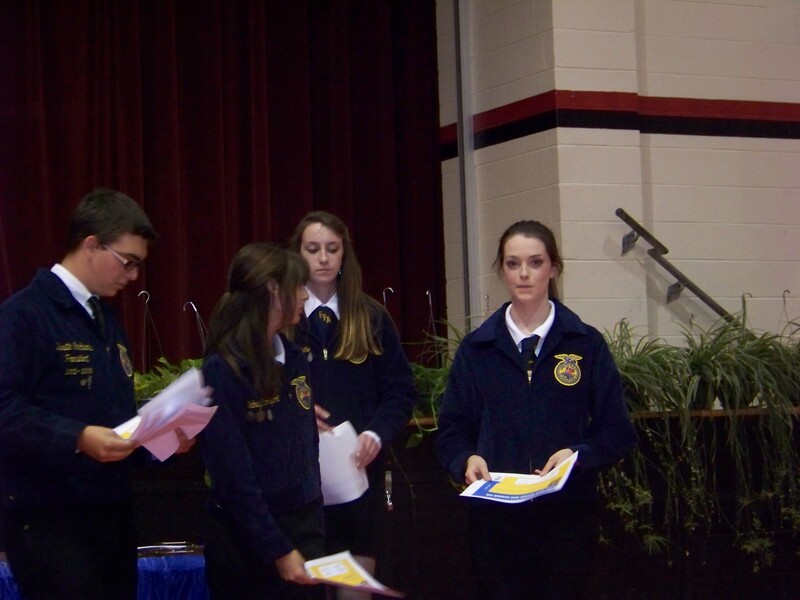 She is the secretary for her chapter, Dade City Senior FFA. Congratulations to Courtney Nathe of Dade City Sr. FFA for being selected as the winner of the FFA Jacket Giveaway from The Market Place. Courtney’s very own jacket is on its way to her. She had been proudly wearing her mother’s FFA jacket but as she so humorously put in her application, “I am neither named Janet nor am I the historian of the Sumter FFA chapter.” She also said this, “The FFA jacket represents the FFA. It is similar to wearing a military uniform in public; people automatically look up to you to be a leader.” We congratulate Courtney on her many accomplishments. We look forward to seeing you in your own FFA jacket very soon.